The visually customized phonebook of the Xperia miro is virtually the same as on vanilla Android and can store extensive contact information. A tabbed interface allows you to access your contact list, recent calls, and info from social networking services. You can sync with multiple accounts, including Exchange and Facebook, and you can selectively show or hide contacts from certain accounts (you can fine-sift specific groups from an account), or set the phonebook to display only contacts with phone numbers or only contacts that are online. 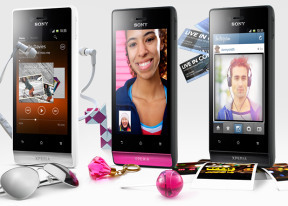 Receiving and making calls on the Xperia miro was trouble-free. Calls were reasonably loud and clear even in noisy environments. Thanks to the proximity sensor, the Sony Xperia miro automatically disables the touchscreen when you lift it up during a call. We also ran our traditional loudspeaker test on the Sony Xperia miro, and the results weren't bad. With xLOUD turned off the phone got a Below Average mark but turning xLOUD on turns it into a whole other beast entirely. If you often miss your calls, we suggest keeping this option on at all times. More info on our loudspeaker test can be found here. As for text input, the Xperia miro offers a customized on-screen full QWERTY keyboard. Typing on the portrait keyboard is not as convenient as on some of the larger screens seen in the Xperia line, but is still fairly comfortable.